Even if the B-52 was born to be the mainstay of the U.S. Air Force (USAF) nuclear deterrent, the Stratofortress flew her first combat missions as conventional bomber during the Vietnam War: in fact the B-52 was used to bomb suspected hideouts of the Viet Cong insurgents in the jungles of South Vietnam. 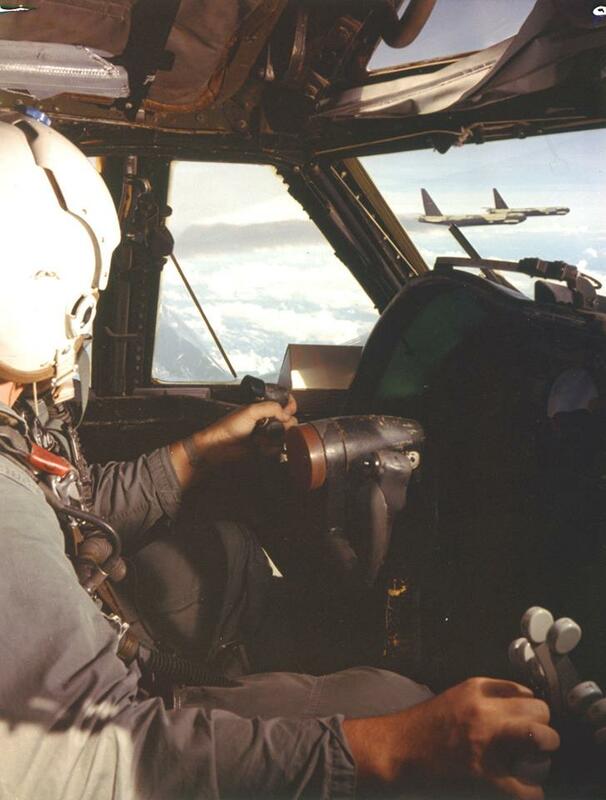 These sorties, part of the Operation Arc Light, saw the ultimate strategic bomber becoming a real weapon system and demonstrated the B-52 extreme versatility. But as explained by Bill Yenne in his book B-52 Stratofortress The Complete History of the World’s Longest Serving and Best Known Bomber, the first Arc Light mission against four battalions of Viet Cong, flown on Jun. 18, 1965, by twenty seven B-52Fs, was nearly a failure because of the lost in a mid-air collision of two bombers: the incident was caused by the bad weather, by the poor planning and by the ill-advised decision to fly the entire mission under radio silence. Nevertheless after this inauspicious beginning, the Arc Light sorties became routine and they saw the Stratofortress performing tactical support missions, backing the U.S. Marine Corps’ Operation Harvest Moon and the U.S. Army First Cavalry operations in the Ia Drang Valley. In December 1965, to augment the B-52 bomb load, the Strategic Air Command (SAC) B-52Ds were modified to carry eighty four 500 pound conventional bombs, with provisions for another twenty four on underwing pylons. This modification program, nicknamed “Big Belly” brought the bomb-carrying capacity of the B-52D to up to 60,000 pounds, a huge augment compared with the 43,500 carried by the B-52F, which was replaced by the D in first months of 1966. The distinctive characteristic of the B-52D was the newly standardized Southeast Asia camouflage scheme, consisting of tan plus two shades of green on its upper sides, while the undersides and the vertical tail were painted with the same B-52F gloss-black. Noteworthy it was during Operation Arc Light that the Stratofortress gained its famous nickname, becoming the “BUFF” an acronym for “Big Ugly Fat Fucker”, that in polite company and in official USAF fact sheets it is deciphered as “Big Ugly Fat Fellow”. More than 5,000 Arc Light missions were flown in 1966, and the number almost doubled in 1967, thanks to the use of Thailand Air Bases such as Udorn Royal Thai Air Force Base and U-Tapao Royal Navy Airfield that reduced the distance from South Vietnam putting much less strain on aerial refuelling assets. However the Arc Light missions reached their peak in 1968 when 20,568 sorties were flown. In the same year took place the most famous among the Arc Light missions, when the B-52s were used to support and defend American forces during Khe Sanh siege, a battle that developed into the largest and most significant tactical air campaign yet seen in southeast Asia. The BUFFs operated around the clock, arriving over the target in groups of up to six every few hours, guided by Skyspot system (the AN/MSQ-77 Ground Directed Bombing system that equipped the ground radar stations located throughout the country) which was capable of revising their targets with two hours notice. During this operation, code named Niagara, B-52s dropped 75,631 tons of bombs in 2,707 sorties, and nearly six hundreds of these were a mere 300 yards from the American perimeter, but no Americans were hit. 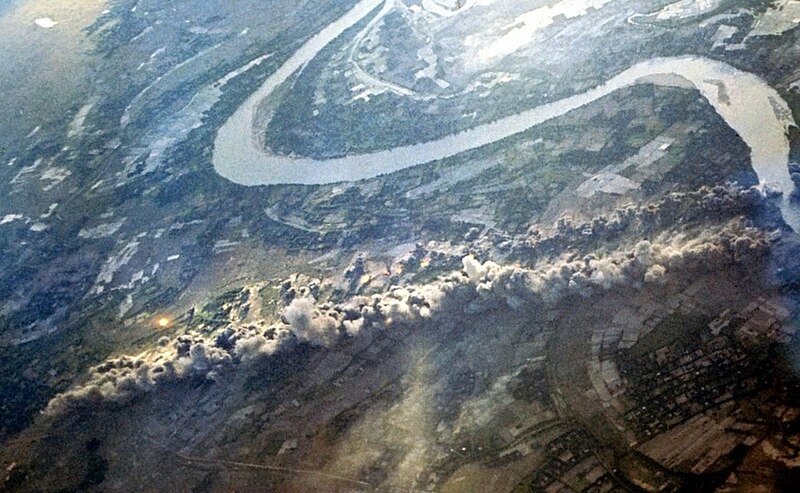 These attacks helped break the siege on Khe Sanh and forced the North Vietnamese to withdraw. Once again a captured North Vietnamese officer admitted that 75 percent of his regiment had been wiped in just one B-52 attack. In 1969, based on a desire by the Nixon administration to de-escalate the war, the Arc Light missions began a steady decline with 19,498 sorties flown that year, 15,103 in 1970 and 12,552 in 1971. 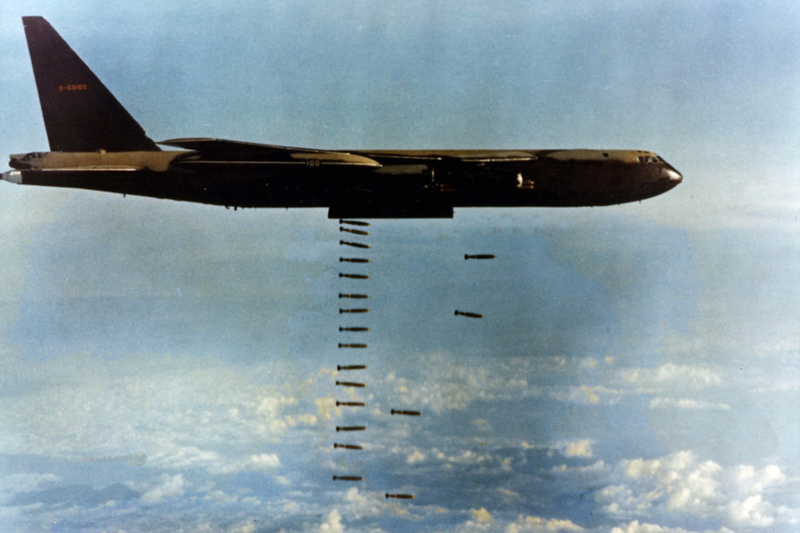 However the full potential of the B-52 would have been applied the following year during Operation Linebacker II, the Christmas air offensive which represented the biggest bombing campaign conducted by the U.S. over North Vietnam. Pilot’s view of a typical, three-ship B-52 formation.